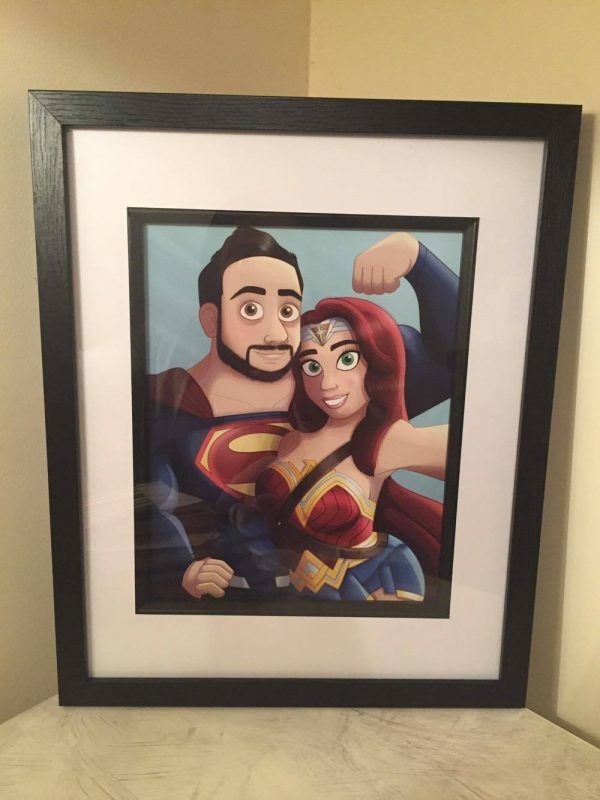 This was my last commission from the end of 2016, a Christmas present from a lovely lady to her Superhero-loving boyfriend. 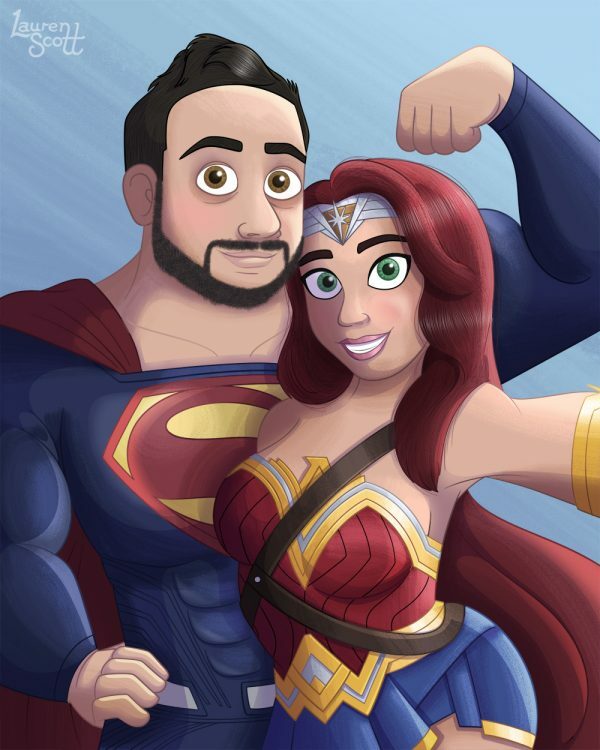 He’s Superman and she’s Wonder Woman, taking a selfie. 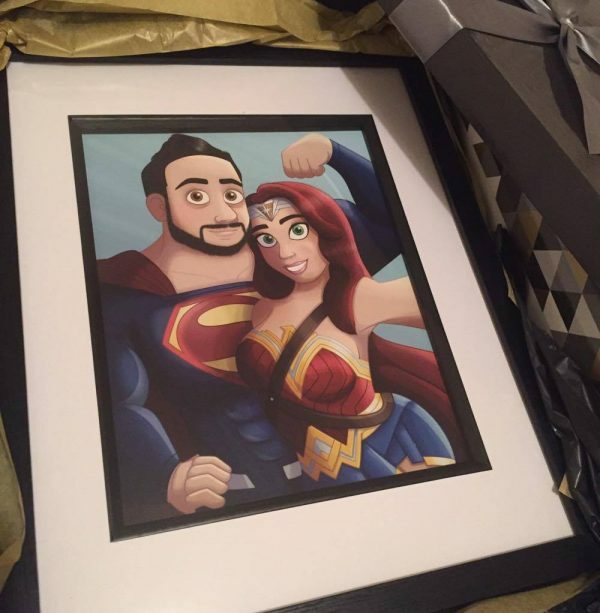 She then got it printed and framed and found the most perfect fit of a gift box for it!